The price of food is going up day-in and day-out, the pocket is quickly shrinking and paychecks are not increasing. The retail grocery is seldom abiding to expiry dates of products and the authorities are trying to explain that sell-before date is a misnomer for spoiled food. We have all witnessed that. A recent study by the University of Arizona showed that in every family of four, $500 is lost each year in the form of spoilt food. This may be caused by reasons of improper storage methods of perishable foods, poor planning of precise budgets and irrational meals. In the household, food is increasingly getting spoilt and discarded. Here are some tips that can help curb food spoilage. Proper planning of meals: Whenever we visit a store, we shop a lot in a futuristic prospective, but have to eat a little of the shopping everyday. Meanwhile, some foods are spoilt in the freezers. 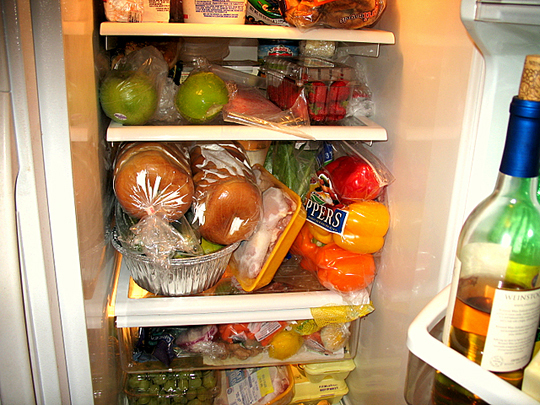 Planning what to eat and eating up all the food bought before buying again is a remedy to reduce spoilage. Budgeting: Do not over-shop just because you have burned gas to get to the stores. A precise budget that will satisfy your short-term needs reducing cash output and the amount of spoilt food in your storage. Short storage life and perishables: They include veggies, fish, chicken, beef, milk, etc. They are the major foods that are usually discarded due to quick spoilage. As soon as they are bought, one should make sure that they are exhausted as soon as possible before embarking on hard foods like flour and rice. The diet at the time can be dependent on perishables. Proper storage: This has been the biggest setback for many people. Spoilage is caused by pathogens and bacteria that usually cause discolorations or formation of slimy surfaces on food. They enter food through poor storage methods like opening and shutting of refrigerators, powering on and off of refrigerators and non-conducive temperatures. The remedy is to avoid unnecessary trips to your fridge. Use the above tips to substantially reduce the cash you lose on spoilt food.